America's most preferred brand of entry doors extends its expertise to patio doors. Therma-Tru provides today's homeowner a patio door system that delivers high performance and style. 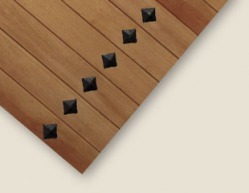 For centuries wood has been the preferred building material of architects and homeowners. And for a good reason. For one thing, wood is far more energy-efficient than comparable building materials. For another, no other product can match the beauty and elegance of wood. 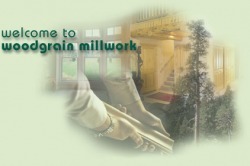 Woodgrain Millwork has been crafting doors since 1985. High-technology manufacturing processes, coupled with select kiln-dried woods and other superior materials assure a product that will last for decades to come. Browse our Door Product Catalogs. TruStile’s premium architectural doors transform any space from ordinary to extraordinary. TruStile offers over 350 standard door styles in MDF and wood, as well as the ability to create any custom design. Whether it’s custom textured glass or a simple pairing of maple and fir you desire, RogueValleyDoor.com has the perfect Rogue Valley Door product for you. Select one of our Door Products categories to include Custom Doors, Door Designs, MDF Doors and Millwork. At Woodharbor, we want our doors and cabinetry to reflect the qualities we respect most in a fine piece of furniture ... simplicity, beauty, attention to detail, solid craftsmanship and purity of style and construction. We are determined to bring you the finest in interior wood millworks ... and we are serious about that commitment.